These Re-usable Party Crackers are an eco-friendly alternative to the standard disposable cracker. I am Bea Thackeray designer/inventor of the Re-usable Party Cracker. Never one to shy away from a challenge, I wanted to see if it was possible to make a Party Cracker you can re-use. With a flash of inspiration and a huge pile of prototypes later, I launched the first Re-usable Gift Box Crackers in July 2013. Since then I've been busy working on new ideas for Wedding Favours and personalised designs. 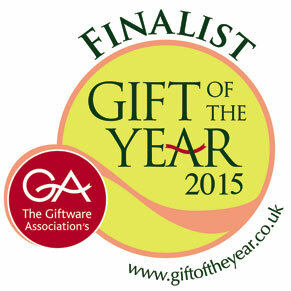 I'm proud that the ‘Hellebore’ design has been awarded Highly Commended in the GA 'Gift of the Year’ awards. 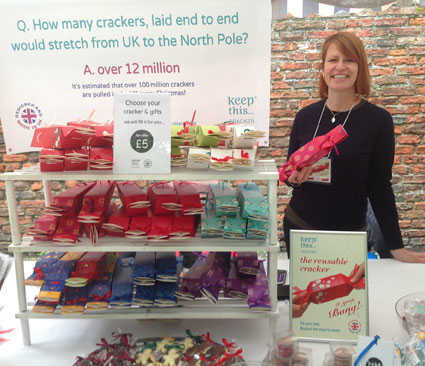 The ‘Mini Favour Gift Box Crackers' were short-listed in the Eco-friendly category. 'Keep This Cracker' Gift Box Crackers are made in the UK. All packaging, promotional material and component parts are sourced from UK manufacturers (with the exception of the snaps). The full collection of Re-usable Crackers are available to buy online here. Also sold on my Etsy store. Feel free to find me on LinkedIn for my full bio. (see the social media links at the bottom of the page). PS. To those who know me as 'Keep This Design', I have since updated the name. 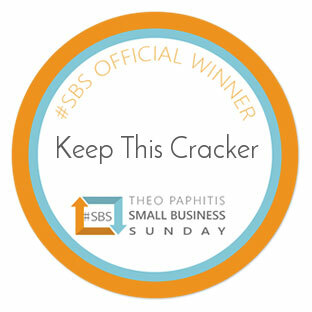 Very proud to announce that 'Keep This Cracker' won the #SBS (Small Business Sunday) Award. 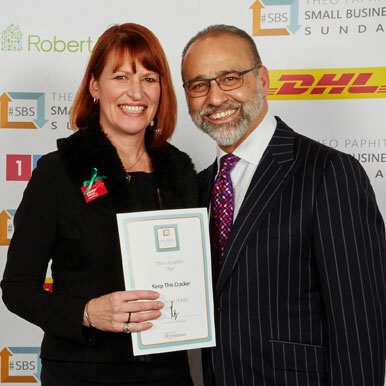 Chosen by Theo Paphitis. If you'd like a chance to win, tweet about your business on Sundays between 5 - 7.30 pm and include the hashtag #SBS. Six lucky businesses are re‐tweeted by @TheoPaphitis every Monday at 8pm. 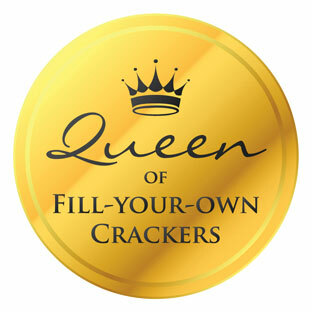 Visit Keep This Cracker's profile on Pinterest.